Intercept and eliminate viruses, worms, trojans, spyware and other Internet threats with our award-winning heuristic technology. ESET NOD32® Antivirus 5 protects you from known and emerging threats when competing products can’t and keeps your system running fast. Get ESET NOD32 Antivirus 5 for advanced security. With one of the smallest program file sizes of any antivirus software, a more intuitive interface and a smarter alert system, we offer a simpler, more secure digital experience. The accompanying Internet security training teaches you how to avoid cyber threats, scams and hackers to make that experience even safer. Not all computer threats come through the Internet; Removable Media Control protects you from potentially infected files exchanged through USB flash drives, CDs and DVDs. Using our advanced ThreatSense® smart-scanning technology, ESET proactively protects you from new attacks. ESET NOD32 Antivirus 5 detects and eliminates both known and unknown viruses, trojans, worms, adware, spyware, rootkits, and other Internet threats, so you can feel safe on the Internet. Antivirus (ThreatSense® technology) eliminates Windows, Mac and Linux viruses, worms, trojans, rootkits and other malware. Antispyware protects your online privacy and identity. Host-Based Intrusion Prevention System (HIPS) blocks unauthorized changes to programs. Cloud-Enhanced Whitelisting (Cloud-Powered Reputation)enables faster, more accurate malware detection. Removable Media Control prevents malware infection from USB flash drives, CDs and DVDs; enables blocking by device ID. Antirootkit detects and removes malware that hides from the operating system. Gamer Mode suspends pop-up notifications, scanning and scheduled tasks while playing. Internet Security Training teaches you tips and techniques to make your online experience even safer. Proactive Protection – ESET’s smart ThreatSense® technology offers multiple layers of protection with precise identification of even never-seen-before forms of malware. Built for Speed – ESET NOD32 Antivirus 5 is lightning fast and operates smoothly in the background, so you won’t even notice it’s there. Easy on You – From its compact and intuitive user interface to its minimal use of alerts, you’ll be up and running in a snap without undue interruptions. Seamless Updates – Security updates are discreetly sent to your computer, ensuring your defenses are always at their strongest. Installing security software is the first step toward cybersecurity. The second is educating yourself about safe Internet practices. 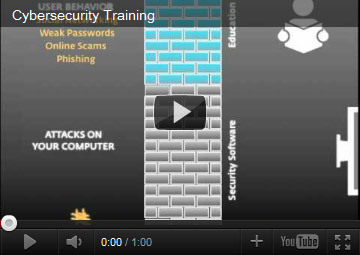 That’s why ESET Cybersecurity Training is free with ESET NOD32 Antivirus 5. ESET Cybersecurity Training uses real-world cyber crime scenarios and gives you essential safety tips to make your online experience even safer. Manage functionality more efficiently with a more intuitive interface that includes access to Most Frequently Used Actions from all screens and enables easier navigation of the advanced setup tree. Customize behavior-based HIPS to improve your security by specifying rules and permissions for the system registry and active processes and programs. Scan faster using our Cloud-Powered Reputation engine that compares your data to trusted files compiled in our ESET Live Grid™ database of over 100 million ESET users. A poorly-timed antivirus update can be as bad as friendly fire. ESET lets you play without getting in the way.